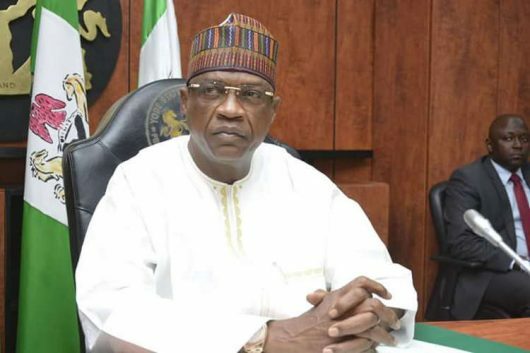 Yobe state government recently won a cash prize of 29 US dollars, equivalent to N10.5 billion, as grant by the federal government and the World Bank for emerging overall first position among 36 states of the federation in the implementation of “saving one million lives” programme and promotion of health sector in the state. The state Deputy Governor, Engr. Abubakar D. Aliyu who is the outgoing chairman of the state Task Force on Routine Immunization System Strengthening and Primary Healthcare, disclosed this yesterday on the occasion of valedictory session meeting of the state Task Force on Routine Immunization and Primary Health Care System Strengthening which took place at state emergency operation center in Damaturu. “As a result of the efforts of the present administration in the promotion of health care among other vital services covering all sectors, we have continued to receive commendations, awards and cash prizes, the recent one being the grant by the federal government and the world bank of th sum of 29 million US dollars equivalent to N10.5 billion to our state for emerging overall first position among 36 states of the federation in the implementation of “Saving One Million Lives Programme,” the deputy governor stated. He then listed the strategies of the state government that led to the record achievements to include: Setting up various committees during outbreak response to stem spread of diseases like measles, cholera, and meningitis. Other strategies includes: widening coverage of primary health care activities and outreach immunization sessions to more eligible children and women that have benefitted from vaccines and other lifesaving commodities, while ensuring that all the under-served, remote, hard to reach communities and internally displaced persons are not left out. To make progress in the coverage of routine immunization in the state, he stated that a Memorandum of Understanding, MoU for strengthening primary health care have been signed with Bill and Melinda Gates and Dangote Foundations that involves successful planning of bi-annual, annual and tripartite meetings on routine immunization strengthening in the state. He commended the efforts of the Federal Ministry of Health, the National Primary Health care Development Agencies, World Health Organization, UNICEF, among other partners for the achievements recorded during his tenure as the chairman of the state task force on routing immunization, primary health care. He urged members of the task force to continue to work as a team which has helped in making the achievements being recorded. “If you continue to think together, plan together, work and implement planned activities and programmes together, only the sky will be the limit on what we will achieve in Yobe state, “ he added. Highlight of the occasion was the presentation of merit award to the outgoing chairman by the Emir of Bade, Alh. Abubakar Umar Suleman.